FD™ SPROUT POWDERS are ideal for adding an extra boost of nutrition to your daily diet. 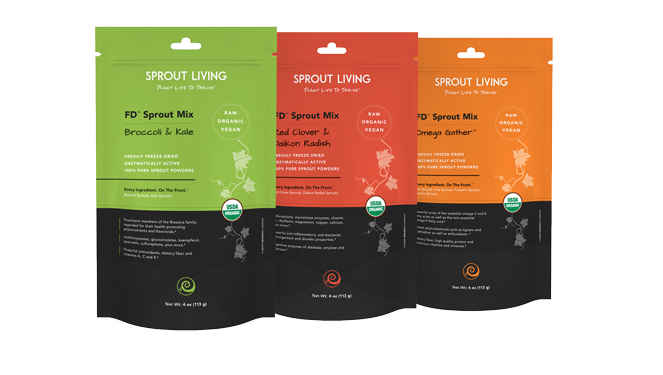 We offer an extensive variety and synergistic mix of organic sprouts that you simply cannot find anywhere else. 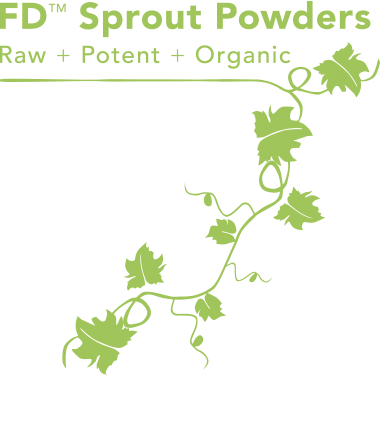 Timely harvesting and superior quality is the magic and force behind our potent sprout powders. It is in this early stage that plants are the most nutrient dense, enzymatically active and bioavailable. Our unique process starts with the finest, certified organic, non-GMO seeds, which are activated by sprouting in mineral-rich water. After this crucial stage, a very special freeze drying process instantly locks in essential nutrients and enzymes, while simultaneously extending shelf-life. Copyright © 2015 Luchi LLC. All Rights Reserved. FD Sprout Powders are a registered trademark of Luchi, LLC.